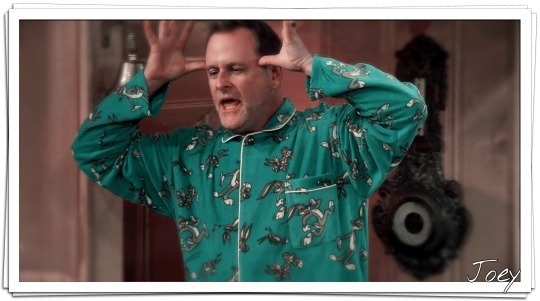 Joey Gladstone | Dave Coulier #2: Cut it Out! Joseph "Joey" Gladstone is Danny Tanner's best friend. A comedian and ventriloquist, he's always bringing the house down with a corny joke or quirky voice. He is currently married to Ginger Gladstone. He's helped raise D.J., Stephanie, and Michelle to be the women they are today! In the episode "Love Is In The Air", Joey is revealed to be an ordained minister, starting a religion based on ice hockey called "Our Lady of the Holy Goalie." 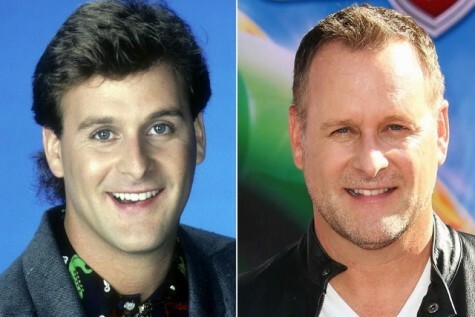 David Alan "Dave" Coulier is an American stand-up comedian, impressionist, television and actor, and television host. He played the role of Joey Gladstone on Full House. He was married for two years to Jayne Modean, who played Adult Michelle Tanner in "Those Better Not Be the Days". They have one son, named Luc. Having divorced, he dating Alanis Morissette, but they broke up shortly before she recorded her, Jagged Little Pill. She wrote the song "You Oughta Know" about him. On July the 2, 2014, he married his long-time girlfriend Melissa Bring. Glad we made it to the second page. An elk on the golf course. That's a first.